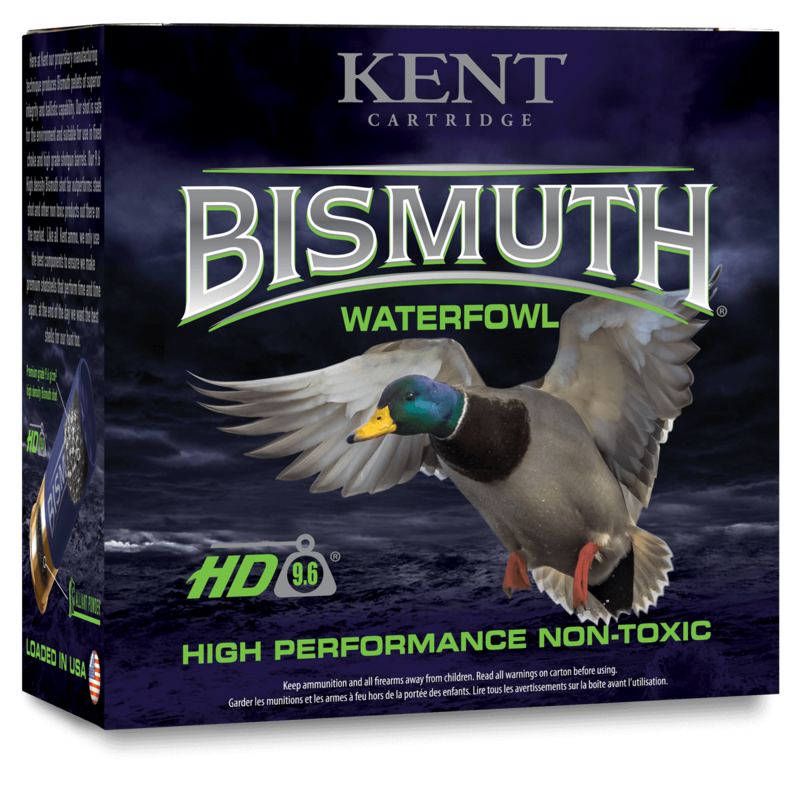 Kent's proprietary, high density 9.6g/cc Bismuth is a premium non-toxic waterfowl load that will be sure to cancel all flights this waterfowl season. The highly uniform pellets are as soft as lead for maximum energy transfer, delivering bone-crushing patterns at greater distances, and less wind resistance on windy days. Our high-performance base wad was designed specifically for semi-automatic firearms, to ensure smooth and reliable functioning, shot after shot. We then custom blend our powders so they burn clean and deliver consistent performance, even in the most gruelling/demanding conditions. Bismuth won't harm your barrels and is safe in any choke so you can use it with confidence in your vintage guns. Looking for more load configurations? Check out our Bismuth Upland selection. Our Bismuth loads are versatile and are equally effective on both Waterfowl and Upland.